Chill Out With our Ice Level Quiz! Better warm up, because this quiz is cold. Ice levels. You know them; they're everywhere in videogames. 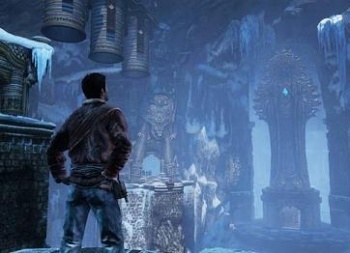 A franchise can't go two installments (if that) without sending the player to adventure in a frozen land of ice and snow. Maybe it's that snow makes a dramatic backdrop for climactic duels. Maybe it's that the cold is irrevocably associated with death in our minds. Maybe they just want to make puzzles where the character slides all over the place. Who knows? Since it's getting cold in our neck of the woods this time of year (okay, okay, it's getting cold for North Carolina; it's a relative thing) we thought we'd celebrate the Winter Solstice with a quiz all about these icy levels in gaming. If you think you've got what it takes, then bundle up and take our quiz here. As always, you can try as many times as you like - but your time will be reflected on our leaderboards. Take The Escapist's Ice Level Quiz!